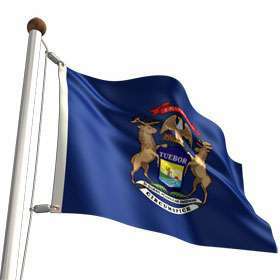 A bill which would legalize and regulate online gambling in the state of Michigan has advanced through a Senate committee just a week after it was introduced. Senate Bill 0203, introduced by State Senator Michael Kowall (R – Dist. 15) on March 1st, was advanced to the full Senate floor from the Senate Regulatory Reform Committee by a vote of 7-1 on Wednesday. While this is certainly good news, as Online Poker Report reminds us, Michigan got this far last year with an online gambling bill and that was it, so let’s not strike up the band just yet. Additionally, here are the names of the bill’s sponsors: Michael Kowall, Rick Jones, Rebekah Warren, Marty Knollenberg, Curtis Hertel, and Bert Johnson. Here are the names of the Senate Regulatory Reform Committee’s members: Tory Rocca, Rick Jones, Marty Knollenberg, Michael Kowall, Peter MacGregor, Joe Hune, Rebekah Warren, Curtis Hertel, and Bert Johnson. See some overlap? Maybe a little? Yeah, this bill was going to make it through committee easily. MGM Grand Detroit took a neutral stance, while most tribes were against the bill. That response is not great news, especially when one considers how one hardline group of tribes have held up California online poker for the better part of a decade. Of course, tribes and casino companies do not have votes in the Michigan legislature, so let’s hope they don’t have much influence, either. The bill itself is fairly straightforward with nothing really out of the ordinary when compared against bills from other states. 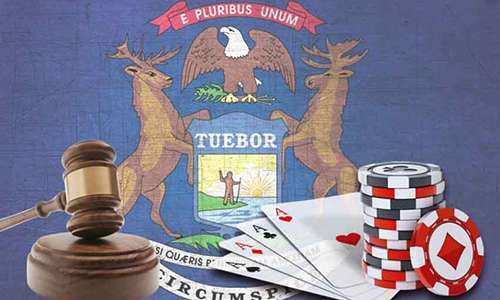 Michigan casinos and tribes that operate casinos that offer Class III gaming (house-banked games, basically) may apply for online gaming licenses. It won’t be cheap: the application fee alone would be $100,000 (though that’s not the most expensive we have seen). Licenses would last for five years; the first year’s licensing fee would be $200,000 and the rest would be $100,000 each. For those that want to be involved by only on the gaming vendor level (for example, supplying internet gaming software or computer equipment to the operators), licenses would cost $5,000 for the first year and $2,500 per year after that. The application fee would cost $5,000. Gross gaming revenue will be taxed at a rate of 10 percent. Operators must have at identity verification and geolocation technological solutions in place to prevent people under the age of 21 and/or located out of state from playing on Michigan online gaming sites. Protections must also be in place to prevent cheating, as one would expect. Senate Bill 0203 also authorizes the division of internet gaming (which would be created should the bill become law) to enter into interstate gaming compacts with other states. An action like this would allow players from Michigan to play on sites based in other states and vice-versa, potentially significantly expanding each state’s player pools. As we well know, online poker is brutally dependent on player pool size, as the more players who are at the tables, the more attractive the games are, resulting in more players signing up to play in those juicy games. The reverse is why it is so difficult for small poker rooms to grow. A lack of players creates a greater lack of players, as players leave if the poker room looks like a ghost town. Michigan has nearly 10 million residents, making it the tenth most populous state in the country. Should online poker become legalized in the state, the state’s willingness to partner with other states to combine player pools would be important.